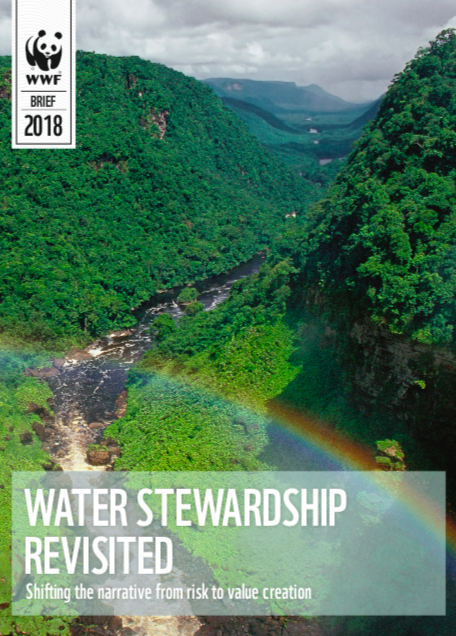 Water stewardship remains a critical concept for companies and investors to embrace and implement, but one that is at a crossroads, according to a new WWF briefing - Water Stewardship Revisted: Shifting the narrative from risk to value creation. To improve effectiveness, we must now journey down the road at greater speed and scale than ever before with the early adopters helping to mobilize the majority. To make that happen, we believe that forging a new narrative - from risk to value creation - will be key. While much has changed since 2013, much remains the same. Water stewardship, as a concept, remains as critical as ever. 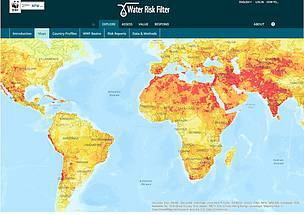 The drivers have grown from corporate water risk and been mainstreamed into economic water risk, value and purpose. We must build upon the successes that have been seen around starting the journey for small and medium sized enterprises, embedding the concept in sustainability standards, building the idea into sectoral initiatives, growing levels of water disclosure and improving collaboration. Notably, we must collectively work to go beyond internal action and scale up collective action - especially through engagement with the financial sector (around both risk and opportunity). 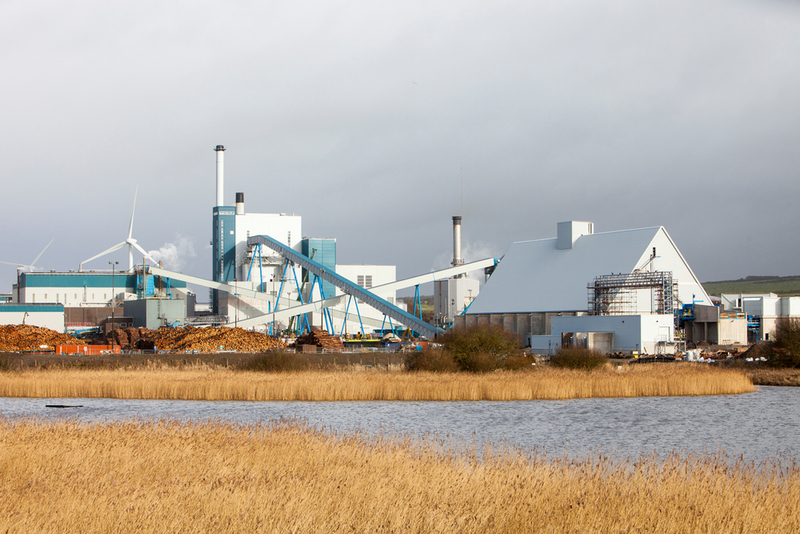 To forge a new pathway, we need those companies already engaged in water stewardship to help drive a new narrative in the water stewardship space - one that is focused around notions of value, opportunity, collaboration, context, innovation and resilience. As leading companies reposition around the notion of purpose, especially to attract and retain millennial talent, there should be little doubt that water can form the basis of purpose. WWF is committed to realizing this future vision - a vision rooted in the belief that human ingenuity, passion and drive can have a meaningful impact. We will walk the talk. However, if we are to realize this vision, we will need our corporate partners - the leading water stewardship companies - to raise their level of ambition. Water is everyone’s business - and it is a shared opportunity for us all to benefit. 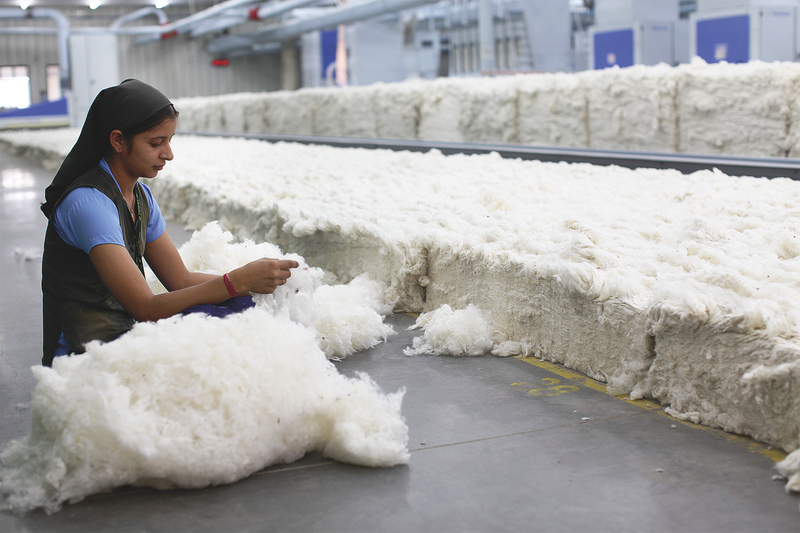 Sitting woman at spinner factory. 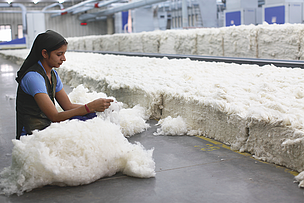 Scaling up farmers' capacity to produce Better Cotton is a pre-requisite to making a mainstream commodity.